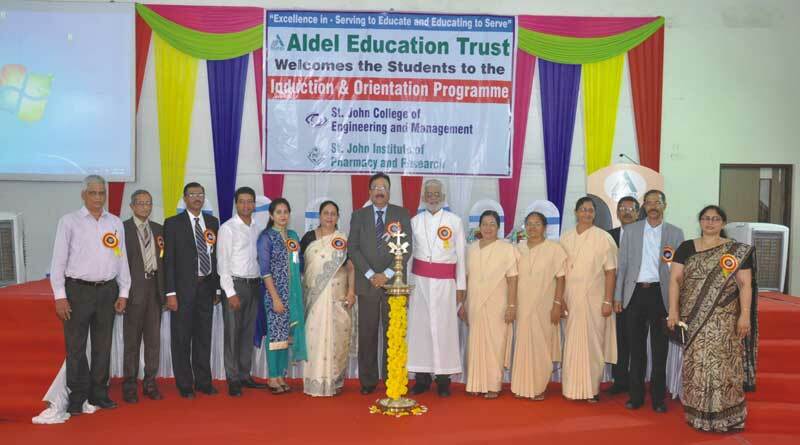 The story of St John Technical and Educational Campus is that of a decade of belief in the vision statement ‘Excellence in Serving to Educate and Educating to Serve’, which brought meaning to and enriched the lives of all stakeholders — students, parents, faculty, staff, alumni and the management — the Aldel Education Trust. Aldel Education Trust is a Christian Religious Minority Trust established in the year 2007 with the objective of providing professional knowledge, developing the expertise and enhancing the creativity of youth. Albert W. D’Souza, the Founder-Chairman of the Trust, is a visionary, philanthropist and a renowned industrialist. He has been the recipient of the Entrepreneur of the Year Award and today heads an internationally reputed printing and publishing firm. It was his dream to develop the youth of our society by providing them with a specialized education. He has been involved in this movement by actively participating and supporting the development of several minority technical institutes in the country and is an active member of the governing council of all these institutions. His desire to contribute personally to this cause resulted in the inception of Aldel Education Trust. 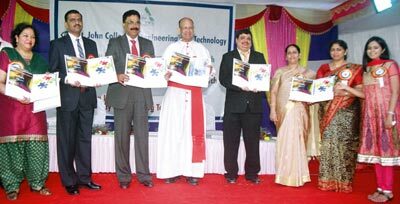 St. John Technical and Educational Campus, established at Palghar, was inaugurated in August 2008 by Rt Rev. Bishop Thomas Dabre, and commenced activities with two colleges. 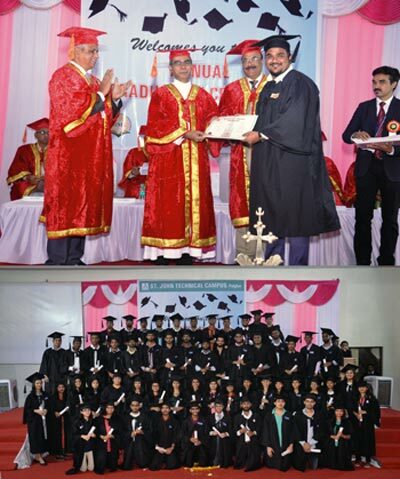 St John College of Engineering and Technology offered degree programmes in Civil, Electronics & Telecommunication, Information Technology and Computer Engineering with 240 students (60 students in each branch), while St John Institute of Pharmacy and Research had 60 students for the B. Pharmacy programme. The dedication of the management, commitment of the faculty and staff as well as the support and cooperation from students and parents brought success to their endeavours and soon there was demand from the local society for added educational facilities. Recognizing the needs of the local community, the Aldel Education Trust expanded educational facilities gradually over the last 10 years. Today, the St John Technical and Educational Campus provides opportunities not only to students seeking careers in technical fields like engineering, pharmacy, management or varied fields in humanities and sciences but also welcomes children to the St John International School (CBSE) and tiny tots to the St John Pre-Primary School. In doing so, the campus educates over 5000 students from KG to PG. Currently, the campus offers the following programmes approved by the regulatory authorities — AICTE, PCI and DTE. Programmes are affiliated to the University of Mumbai while the diploma programmes are affiliated to the MSBTE. What attracts parents and students to St John’s? Situated within lush green surroundings in a serene and quiet ambience, the campus is located at Vevoor, Palghar (E), which comes under the Palghar district in Maharashtra. The college is situated on the Palghar-Manor Road about 16 kms from Manor on the Mumbai-Ahmedabad Western Express Highway (NH-8). The focus of the college management has always been to provide quality holistic education to every student, making them industry-ready and employable as they graduate. Along with a focus on the University curriculum, value-added activities such as Corporate Relations, Employability, Placement and Training (CREPT) Cell, Skills Training for Employability Programme (STEP), Centre for Soft Skill and Personality Development (CSSPD) and Build Your Brand (BYB) have been initiated on the campus. Students are encouraged to take up additional certification courses conducted by STEP, while CSSPD assists students to develop their communication and language skills. CREPT provides them opportunities to interact with industry experts through guest lectures, industrial visits, internships and finally supports them with placements. Students of St John campus have excelled in academics and have also enthusiastically participated in several intercollegiate events at the University, state and national level showcasing their talents and potential. Dept. of Civil Engineering: Student secured Gold Medal for highest marks in B.E. Civil subjects. Smart India Hackathon 2018 conducted by the Ministry of Skill Development and Entrepreneurship, Govt. of India. 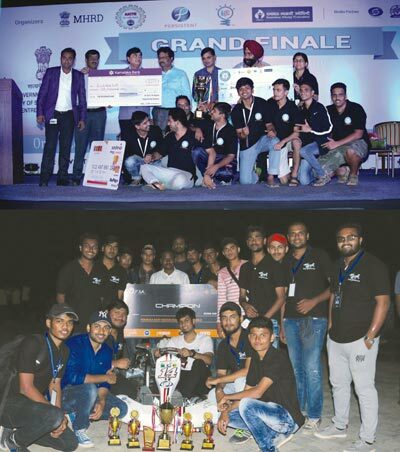 Formula Kart Design Challenge (FKDC) 2018 conducted by Fraternity of Mechanical and Automotive Engineers (FMAE). CSI Mumbai TechNext 2018 conducted by the Computer Society of India. AAKAAR ‘BridgeIT’ Competition 2017 conducted by IIT Bombay. AVISHKAR 2017 conducted by the University of Mumbai. All of these achievements speak volumes for the efforts put in by all the stakeholders and this quality has been assessed by the accreditation agencies. The campus is proud to have NAAC and NBA accredited programmes. The engineering and pharmacy colleges are also approved u/s 2f of the UGC. The Trust continues to develop and broaden the variety of programmes offered to cater to the growing needs of the youth as the trends in education continue to evolve in the future.